What if I charged a card through SWRemote, but I need to change the dollar amount? If you've built your invoice, collected payment information and signatures but you realize you need to add/remove something from the invoice resulting in a new invoice total, you will need to Refund the original transaction and start a new one. 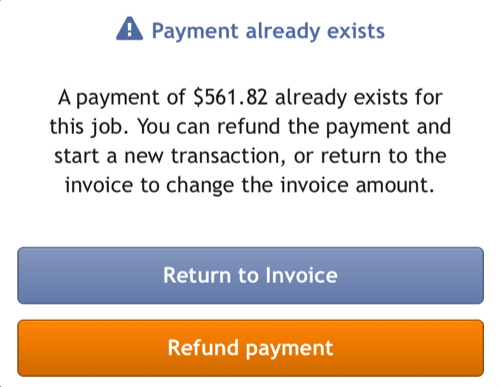 You'll want to click the orange Refund Payment button. This is going to refund the customer the original charged amount and allow you to charge a new amount. Now you will proceed as normal with taking payment and completing the call.